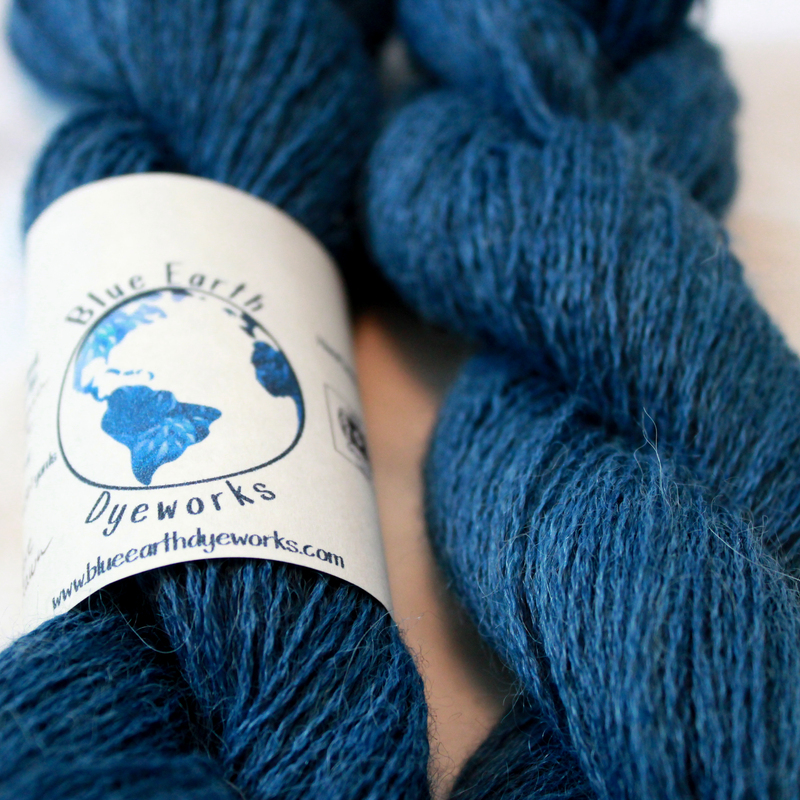 Lofty AND drapey – the best of both worlds in this lovely alpaca and silk blend yarn. You won’t be able to stop petting your yarn. For lacey shawls, lightweight scarves, or anything that’s worn close to the skin and has to be soft and snuggly. 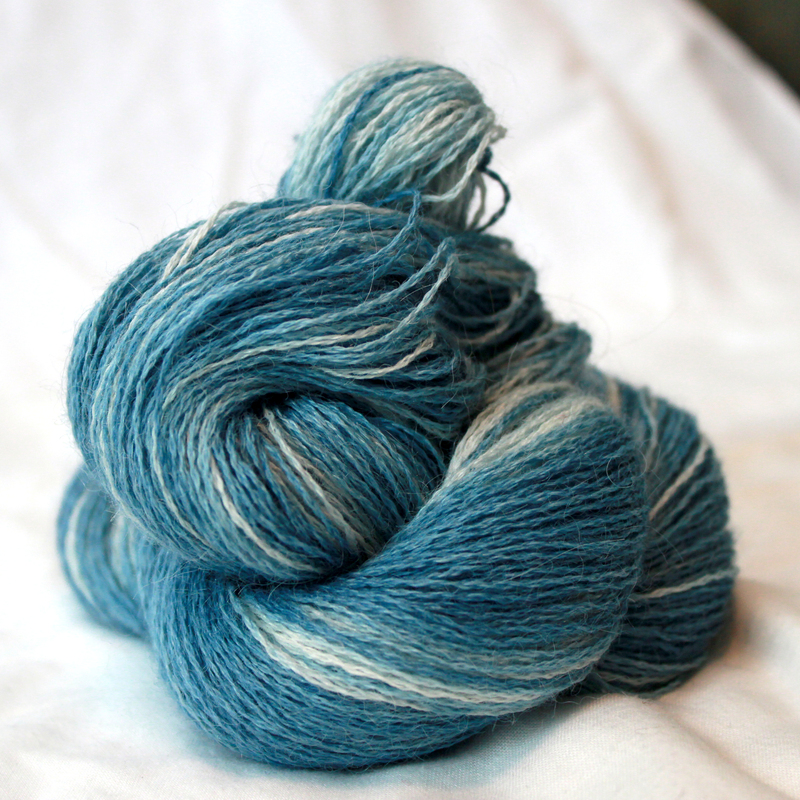 Hand-dyed with natural indigo into a self-striping yarn of natural cream and deep blue over 63-inch loops. Like it? 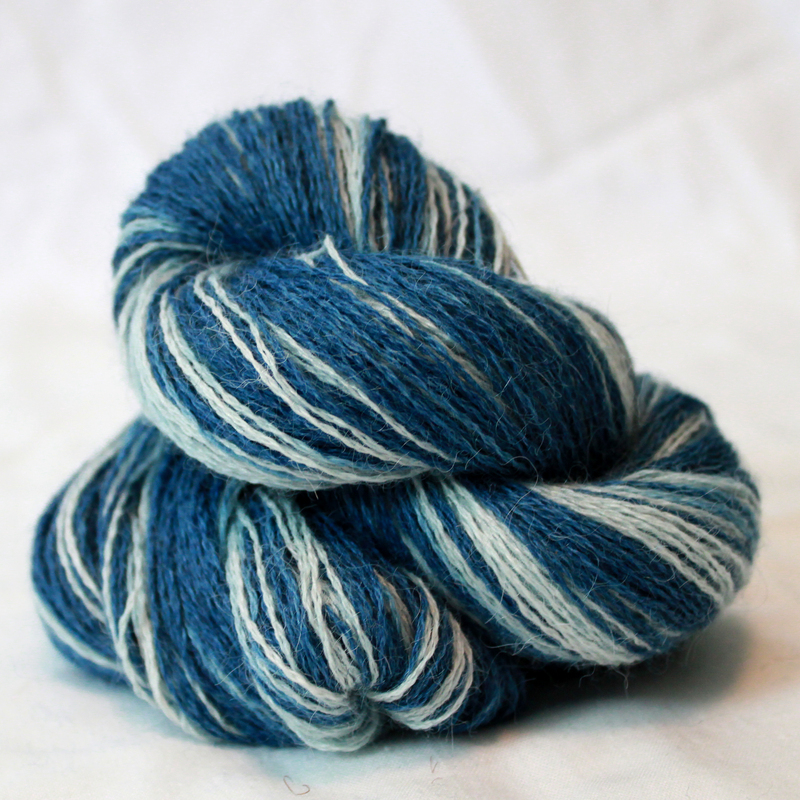 Available on Etsy in three colorways: Just before Dawn, Zebra Blue, and Summer Rain. What do you think? Share your comments, ideas, and requests for yarns here or visit me on etsy. Oh, no, that sounds like a terrible shopping experience! I feel for you. How come you couldn’t order from me? Was the Etsy site down? I didn’t notice anything wrong, but if you tell me what happened, I can look into it so it won’t happen again! I learned to knit when a frnied taught me in college then I didn’t knit for years and I am just now picking it back up again. I have done 2 scarfs so far. Would love some beautiful yarn for more fun projects! I knit because it’s the way I craete beauty in my world and fiber is the best way I know how after all, by making a hand-knit wearable, it makes my part of the world just a bit more beautiful And I love your YARNS!